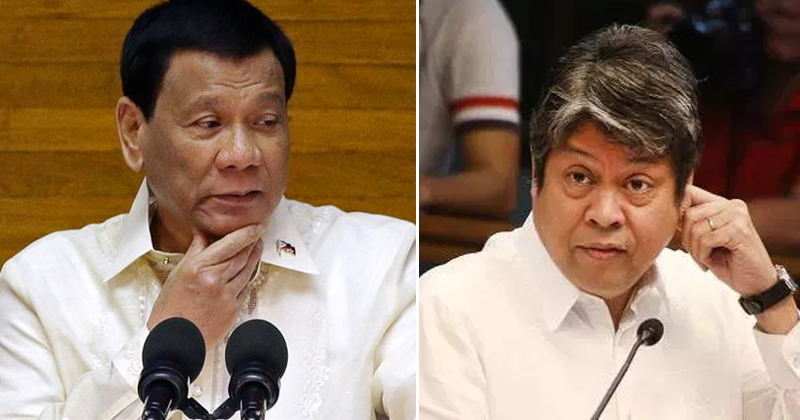 President Rodrigo Duterte on Saturday slammed Senator and Liberal Party President Francis "Kiko" Pangilinan for a law that supposedly let young criminals run scot-free. During a speech in Puerto Princesa City in Palawan, the president said that Pangilinan was the "most stupid" of lawyers for authoring Republic Act 9344 of the Juvenile Justice and Welfare Act of 2006, which exempted minors below 15 years old from criminal liability. 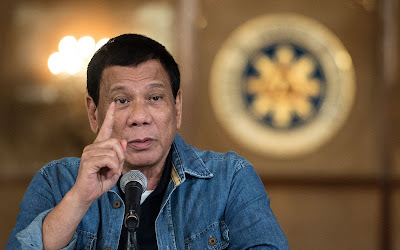 "If you do not have anything to say except to criticize like Pangilinan, well, I'm sorry, pero shut up... ikaw yung abogadong alam kong pinaka-bobo sa lahat," Duterte declared. Sought for his reaction, Pangilinan suggested that the President needed to focus on the country's problems. "Instead of resorting to insulting his critics it would be better if Malacañang focuses on bringing down the prices of basic goods and on going after the big time drug syndicates running circles around the BOC and the PDEA," the senator told GMA News Online in a text message.